NASA astronauts Mike Hopkins and Rick Mastracchio went on a five-and-a-half hour spacewalk outside the International Space Station last Sunday to begin work on a cooling system that has been misbehaving. Hopkins tweeted this photo yesterday, saying, “Wow…can’t believe that is me yesterday. 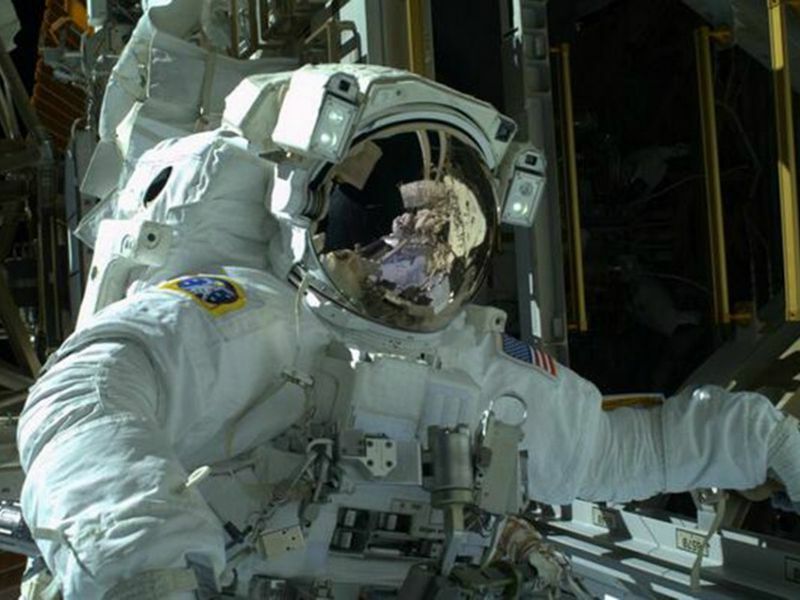 Wish I could find the words to describe the experience, truly amazing.” A second spacewalk will begin tomorrow, December 24, just after 7 a.m. EST, and if necessary, a third will take place on Christmas Day.